One of the first things I want to share with you is my recipe for the world’s best peanut butter cookies! 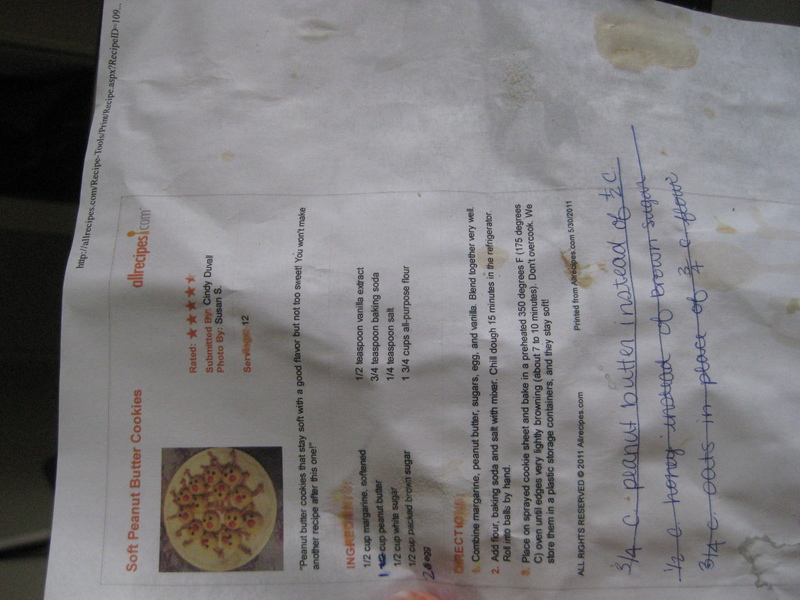 I came across this recipe when I was looking for a soft peanut butter cookie recipe to make and send to my best friend in Chicago. 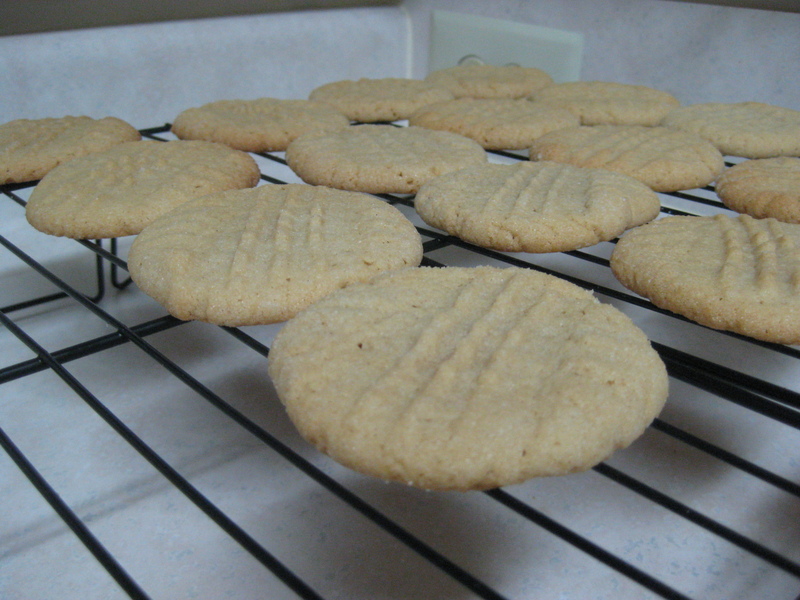 I’d made oatmeal peanut butter cookies which turned out soft before, but I wanted to make plain peanut butter cookies. 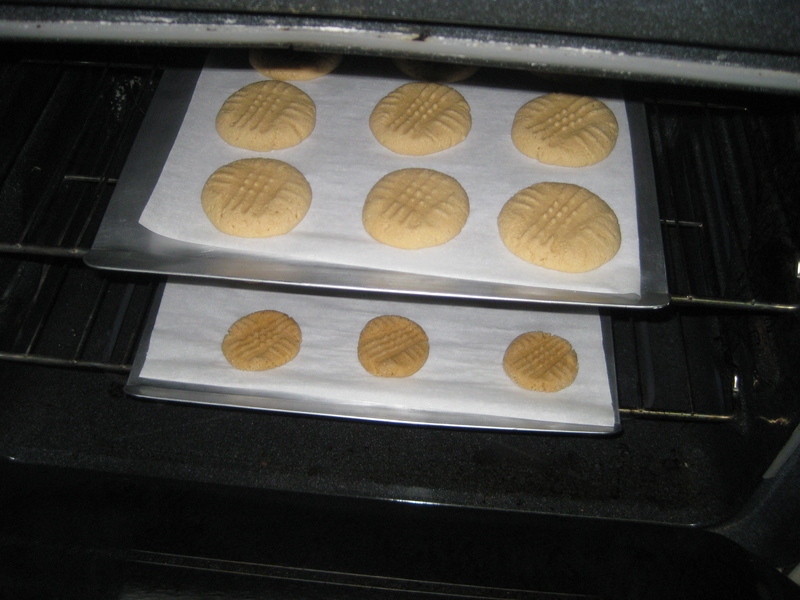 The only plain recipe I had was from my mom, and those cookies have a light crispness to them. So, off to the internet I went. One of the first recipes I found which claimed to be soft peanut butter cookies had a 5-star rating which I always take to be a good sign. I read through the recipe and the reviews and decided to try making some half batches. To save a little money, Karl has asked me to bake half-batches when trying to perfect a recipe so that if something doesn’t turn out well I won’t have wasted too many materials. Some of the reviews said that the original recipe didn’t provide enough peanut butter flavor and that they also added some honey. The varied suggestions in the reviews told me that I wouldn’t be making just 1 sample batch before I got it right! So I set out to create the very best recipe. First I tried the recipe the way the majority of the reviews recommended by adding 1.5 times the peanut butter and some honey. I was not impressed with these. The honey flavor overpowered everything. So next I tried taking out the honey and sticking with the 1.5 times the peanut butter. 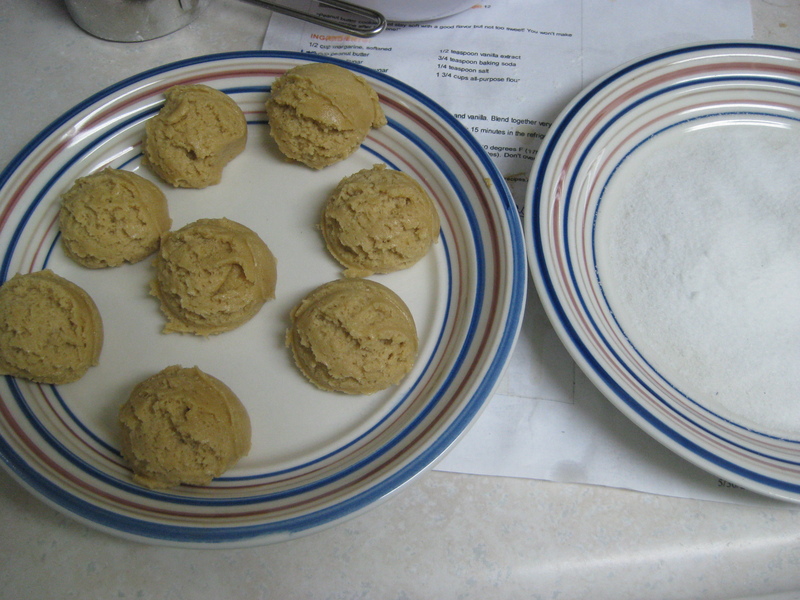 The cookies turned out good and soft, but they did not have a very strong peanut butter flavor. 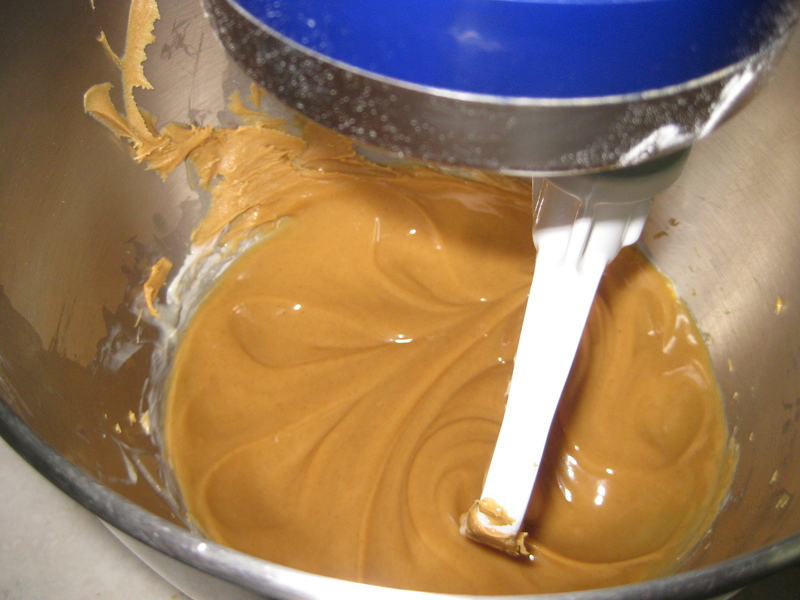 Karl requested more peanut butter flavor, so I double the original amount the recipe called for – BINGO! These cookies were perfect! The recipe went through a lot while I was trying to perfect it! Once I found the perfect recipe I knew it was ok to make a full batch the next time around. But when I did this the cookies turned out super dry, and it took me the longest time to figure out why! After going back through all of the steps and ingredients I finally realized my mistake. When I was making half batches I would still add a whole egg even though the full recipe called for just 1 egg. When I tried adding 2 eggs to the full recipe I was back on the road to the perfect cookie. Those turned out wonderful, and I sent them to my best friend in Chicago who said they were amazing and addicting, exactly what every baker wants to hear! This past weekend I decided to make some to take to work on Monday. While looking for a second recipe to make to go with them (because I like to take two different kinds of cookies in case one of my coworkers doesn’t like one kind) I read a recipe that said to roll the peanut butter cookies in sugar before baking. I decided to try it for myself. I didn’t think that the peanut butter cookies could get any better, but apparently they could. I would definitely recommend adding this step to the process when you make them as well! These are literally the perfect peanut butter cookie if you like a cookie that is super soft. I am not usually a fan of peanut butter cookies, but I am love with these because they are so light and have just the perfect amount of peanut butter flavor. I hope you enjoy them as much as we do! Combine the butter, peanut butter, sugars, egg and vanilla. Beat until very well blended. Add flour, baking soda, and salt. Beat until blended completely. Use a cookie scoop to make balls. Roll balls in sugar until lightly coated. 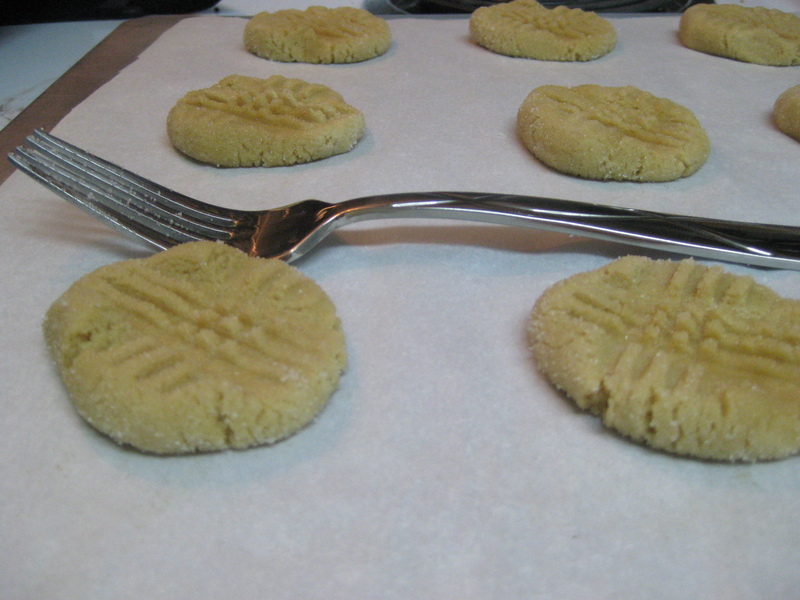 Place on a cookie sheet lined with parchment paper and use a fork to create criss-cross.